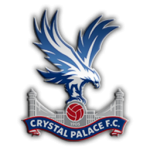 Tony Pulis takes his Albion side to Selhurst Park on Saturday, the scene of what was he claims was his greatest managerial achievement in guiding Crystal Palace from the depths of the relegation zone to mid-table safety last season. The Baggies have seemed somewhat devoid of his magical inspiration in recent weeks, while the Eagles have soared to new heights under their latest messiah, Alan Pardew. The recent form of the two teams could hardly be more different – with the Baggies on a run of five defeats in six matches, Palace have won five of their last six including a victory over champions Manchester City at Selhurst Park. Furthermore, their players may have an additional incentive to get one over their former manager who could be said to have abandoned them on the eve of the season when last season’s Premier League Manager of the Year walked out of Selhurst Park after an apparent disagreement with co-owner, Steve Parish. Founded in 1905, Crystal Palace became a league club in 1920 when Southern League Division One formed League Division Three (South). Despite winning the division in their first league season, it was almost a half century later before they won promotion to the top flight. With the Eagles’ spells in Division 2 not coinciding with Albion’s, the clubs did not meet until Palace’s first top flight foray in 1969. That first meeting at Selhurst Park was won 3-1 by the visitors thanks to goals from Astle, Hope and Hegan, but it was not long before Palace recorded their first victory over the Baggies, a 3-0 win the following season with Bobby Tambling (2) and Alan Birchenall on the scoresheet. The most famous encounter between the sides, at least for Baggies fans, came on the final day of the 2001/02 season when Darren Moore and ‘Super’ Bob Taylor were the scorers in the 2-0 win that secured Albion’s return to the top flight after a 26 year absence. Another memorable game (at least for the author), came in 1988 when a Don Goodman hat-trick and goals from Robert Hopkins and John Paskin gave Albion a 5-3 victory with the infamous Geoff Thomas on the scoresheet for the visitors. The Baggies endured five successive defeats against Palace after that match, before then going on a run of 12 games against the Eagles without defeat from August 1996. That run came to an end in October 2004 in the 3-0 defeat in south London that resulted in the departure of Gary Megson. While Albion were ultimately successful in the Great Escape that season, Baggies fans will remember the evening of 1st February 2005 when Robert Earnshaw celebrated with a trademark somersault what we all thought was an injury time winner in the return fixture, only for Aki Riihilahti to score from a free kick a few minutes later. But Jon Fortune’s equaliser for Charlton against Palace on the final day meant that it was the Baggies who had the last laugh that year. Recently, Palace have had the better of things in this fixture, with Albion only having recorded two victories in the ten games since the Great Escape season. One of those was at Selhurst Park, a 2-0 win in 2006 when Zoltan Gera and ‘Joe’ Kamara scored either side of half time. Apart from the long term injury to Ben Foster, only Brown Ideye appears to be struggling ahead of Saturday’s clash. His profligacy with possession last weekend may have seen him lose his place anyway, but a knee problem may make that decision easier for Pulis, with Anichebe waiting to take his place. “Big Vic” has always done well for the Baggies when on the field, getting him on the field has been a battle, and when his there is the constant nagging doubt as to whether he will make it to the end of the game. Callum McManaman and Jonas Olsson have both declared themselves fully fit for the run in. Youssouf Mulumbu will serve the second of his three match ban for “elbowing” Joey Barton. For the visitors, Marouane Chamakh, Pape Soure, Frasier Campbell and Jordan Mutch are all struggling to make the squad, although James McArthur should be fit to play following an illness. This match is a huge test for Tony Pulis. Not only is there the additional baggage of his history at Selhurst Park, he has to put out a team that can somehow cope with a Palace team on fantastic form having collected 15 points from 18 and with an abundance of pace. If Pulis goes with his regular back four from the last few weeks, the likes of Bolassie, Puncheon and Zaha could have an absolute field day as Vardy and Schlupp proved last weekend. Coupled with that, Albion are a team low on confidence having picked up 12 points fewer than Palace in their last six games. Pulis has shown no signs from deviating from his defensive plan despite increasingly poor results, and barring a complete change in direction, I expect him to set up the team to get a point. Wisdom, Gamboa and Pocognoli all played for the U21s in the Birmingham Senior Cup semi-final defeat on penalties to Nuneaton Town on Tuesday night, the irony being that with Bradley Garmston making up the back four, that’s four full backs in defence for the U21s, and none in the first team! How exactly they lined up, and whether Pulis was there to see it, I don’t know, but I would be pleasantly surprised if any of them were in the starting line up at Selhurst Park. His comments in the pre-match press conference on Thursday seemed to suggest that he is unlikely to change anything at the back. Callum McManaman also played over an hour of the match at Nuneaton, and I would be equally surprised if he were to make the starting line-up with Fletcher, Morrison, Gardner and Yacob almost nailed-on starters should the head coach persist with the defensive approach. Having said that I expect Pulis to take the “park the bus” approach, the results when doing this away from home don’t stack up. Clean sheets at the Hawthorns were becoming common place until April, but away from home under Pulis, only twice (at Everton and Sunderland) have the Baggies stopped the opposition scoring in seven games, and the Everton game was only down to a huge stroke of luck with the missed penalty. Let’s face, Pulis hasn’t found a way to win away from home yet. Albion’s only away victory under Pulis was at St Andrew’s in the cup, and the Baggies haven’t looked like winning away in the Premier League at all. A few draws may be enough to push Albion over the line this season, but I’m doubtful if one can be achieved at Selhurst Park. I just cannot see the current Albion defence keeping a clean sheet, and with only five goals in seven away games under Pulis, scoring is definitely a challenge on the road. Unfortunately, I think Albion will suffer their fourth straight defeat for the second time this season, but I will be delighted to be wrong!